Assisted living is a wonderful alternative for many seniors who need more attentive care than can be provided at home. However, making the decision for a loved one is often very difficult and emotional. Often other family members have strong opinions about what is best. However, staying at home is not always the best solution, and many loved ones require more care than you can safely give at home. At Regency Park, our staff is trained to assess the needs of prospective residents and will give the decision maker an honest evaluation of their loved one’s needs, and whether or not assisted living is the proper solution for them. The realization that someone we love now needs help is painful. At Regency Park, we believe that a fully informed decision-maker will have the knowledge to select Regency Park from among other assisted living residences. Specifically, it is our caring and compassionate staff and atmosphere that sets us apart from our competition. We encourage you to visit other communities. 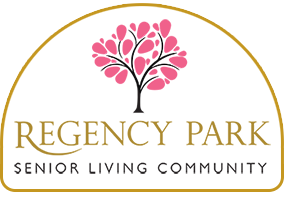 We are confident that you will conclude that Regency Park is the assisted living facility of choice.